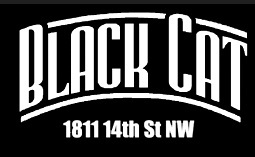 Tonight, the at-large DC council candidates will be debating at the Black Cat. This will be an especially interesting forum, given that Mayor Vince Gray, along with Sekou Biddle, got arrested last night protesting Congress’s inclusion of two riders into the national budget that strips the District’s ability to self-govern (not like we ever really had that right). Voting day is in exactly 2 weeks, on April 26. Stop by at 7 to hear Loose Lips columnist Alan Suderman, NBC4’s Tom Sherwood, and DC Politics host Chuck Thies ask the candidates questions. Perhaps you remember Bryan Weaver, the candidate for Ward 1 on the council who lost to Jim Graham. He had a great campaign video that perfectly showcases his ideas as a politician, is all around good guy and Dave Stroup, former DCist weekend editor, is asking him to run for the at-large councilmember. If you think Bryan would be a good voice for our city, check out the Draft Weaver website – you can sign the petition, contribute money, and learn more about why Dave thinks Bryan should run. If Bryan doesn’t chose to run, the Draft Weaver campaign will return the money you donated. Dave is looking to raise $2000 by Sunday. Bryan hasn’t thrown his hat in the race yet, but the more money raise and signatures signed the more likely he is to consider it. He’ll be making his decision some time next week. The at-large race is in April, so if you think Bryan should be a candidate – help Draft Weaver out. Marc Morgan is running for the Ward 1 seat under the Republican party. Morgan is currently the Deputy Director of Development for the Carbon War Room, a non-profit organization that works “to implement market-driven solutions to climate change.” Now, this is DC, so it might not surprise you to hear that Morgan isn’t exactly a traditional Republican (he’s also gay). He has unabashedly courted the gay vote, is listed on a website as “hip hop Republicans” , and is running on a pretty progressive platform. He wants to build a green economy, decrease crime (especially youth-related crime), promote small businesses, and enhance private-public parternships. Read more about his take on hot topics. I was inspired to write this post because I got a quick press release letting me know that today, at noon on the Kojo Nnamdi show (WAMU 88.5) the Ward 1 Democratic candidates will be talking. Tune in! Jim Graham is the current Ward 1 council member and a board member of WMATA. He’s the Scottish guy who wears bowties and drives around in his VW Beetle. Graham has represented Ward 1 since 1998. Graham is known as being an advocate for his constituents as well as for his strong connection to the community. He has overseen a huge wave of development and resurgence in Ward 1. Graham also been criticized as his Chief of Staff, Ted Loza, was arrested by the FBI and charged with two counts of accepting bribes in 2009. Check out more about his stances on hot topics. Jeff Smith is the Executive Director of DC VOICE, an independent education civil rights group based in Ward 1. He also used to be a member of the DC School Board, has a law degree, and is a veteran of the military. He is running on a platform of education reform, making neighborhoods safer, promoting small and local businesses, and redeveloping housing. Smith seems earnest in his engagement with the community, he’s reached out to me to meet about issues in Ward 1, but unfortunately scheduling conflicts mean that hasn’t happened yet. He’s also been holding bike rides with the community. Read more about his stance on hot topics. Bryan Weaver is probably best known for his well-done ad for his candidacy that made the rounds on the DC blogosphere. He currently serves on the ANC (his fourth term) and is a community activist who has worked to promote affordable housing, decrease crime, better education, and build youth leadership. He also seems to have deep connections with the Adams Morgan community, as he was on the scene after the shooting in last week, speaking to members of the community. Read more about his stance on hot topics. And yes, I will be profiling the Republican candidate later this afternoon. He is running unopposed from the Republican side so the only election you can vote for him in is the general election on November 2nd. What happened to DC voting rights? Remember a few weeks ago when everyone was all excited that the bill on DC voting rights was going to pass? The Senate had passed it, added some stupid amendment that negated nearly all of DC’s gun control laws, and punted it off to the House. The House was expected to pass it, and perhaps get rid of the gun control amendment. Then, the NRA came along (boo, hiss). They threatened to turn the House’s vote on the bill into a “test vote” – where the NRA keeps track of how each representative votes and grades them on how friendly they are to pro-gun legislation. That freaked out the House, and now the vote has been delayed, I’m sad to say, perhaps indefinitely. This is ridiculous, lobbying groups should not have this much power over whether Congress even VOTES on a bill, not to say how they vote. Look, you might guess I’m not the hugest fan of the NRA and am a pretty big proponent of gun control, but that’s not even the point. The point is, DC doesn’t have home rule, Congress controls them. However, DC doesn’t have a voting voice in Congress either, so we pretty much have no say over our own governance. This is what has allowed the Senate to add that gun control amendment to the bill with no say from representatives from DC. THIS IS WHAT THE BILL IS TRYING TO FIX. And it has led to the bill’s demise. The politics behind this are really unbelievable, and quite disheartening. OK, rant over. It’s been a busy past few weeks, from a job search, to working part-time, to getting a job offer, to deciding to take the job offer, to all of the paperwork after accepting the job offer. I start my job later this week, and still have a million things to do before I go in for my first day. Then I get bombarded with questions from well-meaning friends and relatives asking me what my big plans for the inauguration are, and my response is, well you know I’ve been a bit busy, I haven’t really thought that out. Of course, I’d love to see BRUCE perform on the Mall. Totally want to see Obama’s inauguration speech in person. Though it’s probably not going to be the best place to fully listen to his speech, that’s what YouTube is for after the fact. But, is the absolute mess that’s going to be the Mall, and about a 2 mile radius of it, worth it? I’m not sure I’m convinced. Not to mention, I’m not even sure I have Tuesday off, still working on figuring that one out. After Bush declared a state of emergency for DC (that sounds scary, doesn’t it?) I started getting worried. I wonder if it’s really going to be the mess that people are predicting: friends have predicted gridlock and mayhem Friday night till Wednesday morning. Then there’s the whole restaurants being allowed to be open 24 hours and bars serving liquor until 4 am which makes me feel like U street is going to be a 24-hour-party zone. Google Maps does a good job of showing which establishments are going to be taking advantage of the special inauguration laws that allow them to do so. Crazy party zone is great and all, good fun. Not so much when you live on U street and don’t have great sound protection from your apartment and are a light sleeper. Maybe I should just go hide in the suburbs and wait for it to be over. Or maybe I should just embrace the madness and enjoy it.